The available treatments for cancer are expensive and painful. They do not even promise full recovery. However, a woman healed herself from cancer using cannabis. Doctors are our trusted source when it comes to treating illness. But a 51-year-old mother decided to take the treatment into her own hands. Susan Dhillon, a mother of three was diagnosed with stage 4 cancer in 2018. However, this strong-willed woman decided to say no to chemo and started treating herself with cannabis oil. The 51-year-old mother from Slough, Berkshire went to see her doctor after she noticed holes in her mouth and food coming out of her nose while eating. Understanding the seriousness of her illness, the hospital fast-tracked her to see a specialist for cancer. Two weeks later in June 2018, the mother of three was diagnosed with a stage four cancer of the mouth, nose and lower skull. Her condition, referred to as stage 4 advanced sinonasal carcinoma, led to the enlargement of her tumor by 5 percent every month. "I went through a really sad time with my family. I didn't know what to do with myself and spent a lot of the time being very upset. I went through a time of crying whenever I was awake," said Mrs. Dhillon to Daily Mail. She was adviced by her doctors to immediately do chemotherapy and facial surgery since the tumor was inoperable and serious. However, Mrs. Dhillon disagreed. "I didn't want chemotherapy because the side effects are awful. It just wasn't the right thing for me to do," said Mrs. Dhillon to Daily Mail. She recalls, on hearing the news, all she wanted was to just live longer and did not want to give up on herself. Mrs. Dhillon determined to live and unwilling to settle for chemo, took to the internet to find alternatives. 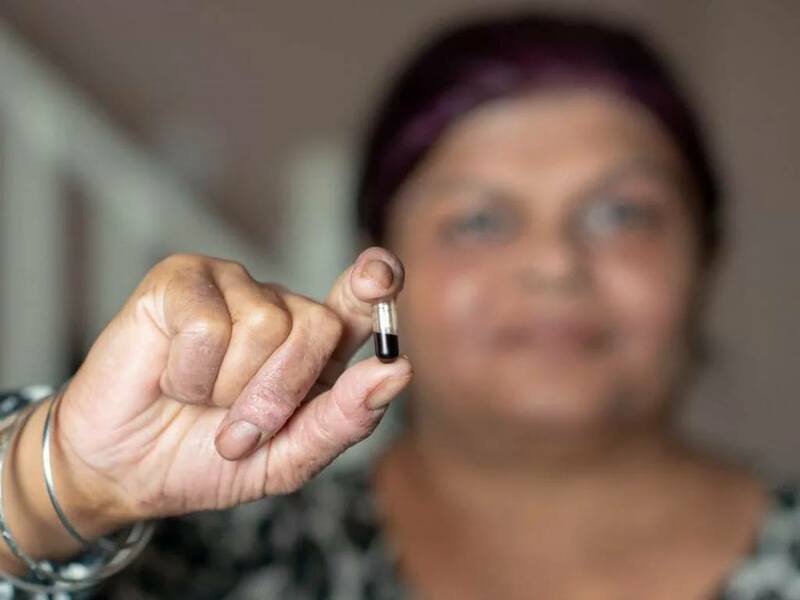 After thorough research, Mrs. Dhillon decided to try unconventional medicine to treat her deadly disease. Instead of putting herself through the pain of chemo, she started taking cannabis tablets from a friend who naturally grew cannabis and extracted their oils. "I saw a lot of people talking on forums about cannabis oil and how it was helping them. I was willing to try anything. I didn't know what else I could do," said Mrs. Dhillon to Daily Mail. She religiously brought the tablets that were priced around £16 a day and continued using the tablets and Manuka honey every day. At the end of five months, Mrs. Dhillon was astounded to find that some of her tumors had disappeared, while others stopped growing or had shrunk. 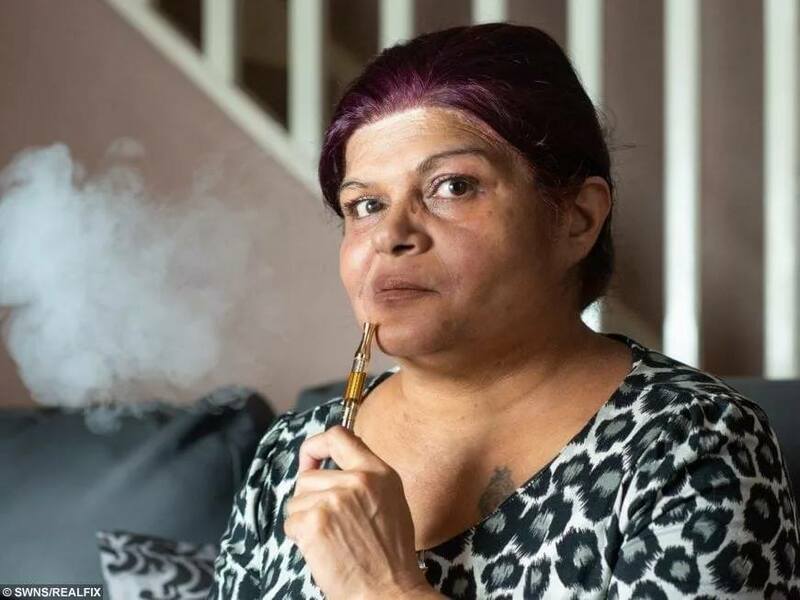 According to the Metro, her consultant, who was equally surprised, stated," I can only conclude that Mrs. Dhillon appears to have gained significant benefit from the Manuka honey and Cannabis oil treatment." In a test that was conducted at the end of nine months from the date of her initial diagnosis, her disease was found to be stable with no sign of progression. "Although I am unable to explain the possible healing properties of the treatment, I can only conclude that Mrs. Dhillon appears to have gained significant benefits from the Manuka honey and cannabis oil treatment. I have no objection to her continuing with the cannabis oil treatment," stated her doctor in a letter addressed to her. 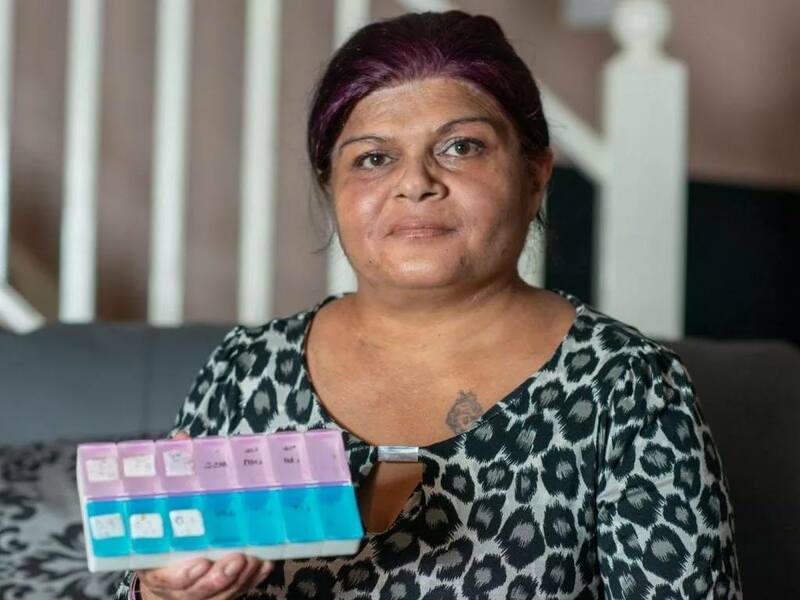 Mrs. Dhillon, a former NHS prescription administrator who believed that her days were numbered, was overjoyed by the positive news she received a few days before Christmas. "It’s an absolute miracle. ‘I was told I could die in weeks or months. They told me it was inoperable. I was over the moon. It was the best news I could possibly have," said Mrs. Dhillon. The grateful mother who celebrated her 51st birthday this January believes that she has been handed over a lifeline, a second chance in life. "The cannabis is keeping cancer at bay," says Mrs. Dhillon with joy.